All brand and product names are trademarks or registered trademarks of their respective companies. You are not allowed to use any of the marks or logos appearing throughout the PoliceReportsOnline.org without expressed permission from the trademark owner, except as permitted by the applicable law. 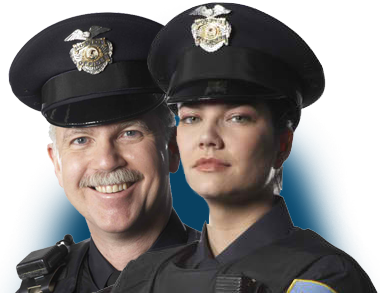 THE PoliceReportsOnline.org IS PROVIDED “AS IS” WITHOUT WARRANTIES OF ANY KIND, EITHER EXPRESS OR IMPLIED. TO THE FULLEST EXTENT POSSIBLE UNDER APPLICABLE LAWS, DISCLAIMS ALL WARRANTIES, EXPRESSED OR IMPLIED, INCLUDING, BUT NOT LIMITED TO, IMPLIED WARRANTIES OF MERCHANTABILITY, FITNESS FOR A PARTICULAR PURPOSE, NON-INFRINGEMENT, OR OTHER VIOLATION OF RIGHTS. PoliceReportsOnline.org DOES NOT WARRANT OR MAKE ANY REPRESENTATIONS REGARDING THE USE, VALIDITY, ACCURACY, OR RELIABILITY OF, OR THE RESULTS OF THE USE OF, OR OTHERWISE RESPECTING, THE PoliceReportsOnline.org. YOUR USE OF THE PoliceReportsOnline.org IS SOLELY AT YOUR OWN RISK. Your exclusive remedy with respect to any dispute with PoliceReportsOnline.org is to discontinue your use of PoliceReportsOnline.org. PoliceReportsOnline.org and its vendors and licensors shall not be liable for any indirect, special, incidental, consequential, or exemplary damage arising from your use of the PoliceReportsOnline.org or for any other claim related in any way to your use of the PoliceReportsOnline.org. These exclusions for indirect, special, incidental, consequential, or exemplary damages include, without limitation, damages for lost profits, lost data, loss of goodwill, work stoppage, computer failure or malfunction, or any other commercial damages or losses, even if [affiliate] had been advised of the possibility thereof and regardless of the legal or equitable theory upon which the claim is based. Because some states or jurisdictions do not permit the exclusion or the limitation of liability for consequential or incidental damages, in such states or jurisdictions, PoliceReportsOnline.org and its vendors’ or licensors’ liability shall be limited to the extent permitted by law.